Also needs strainer/ cheese cloth and baking paper. 2. Heat the pan with sugar and 1/3 cup water. 3. When sugar melts and becomes 2 thread consistency, add chhana/ homemade cheese and cardamom powder. 4. Stir it and keep it crumbly. 5. When it cooperates well, remove from heat. 6. Put like small portions on the baking paper by using spoon and let these cool down. 7. When there cool down, take 2 of them and press little bit. It will stick together. Repeat the process with rest of them. 8. Enjoy sondesh and make your life sweet. I love how simple this recipe is. I make paneer in the same way (minus the sugar and spice) and then use in a “Paneer Aloo Muttar” recipe that always goes down well. this one a dessert…not curry ..but i am excited to see some man interested in food…I check your blog …nice photography. I am thrilled to find your blog. I did not cook until leaving home, and I have to do a lot of trial and error to learn Bangali cooking. I wanted to add that ricotta cheese can work as a good substitute for channa if you are strapped for time. 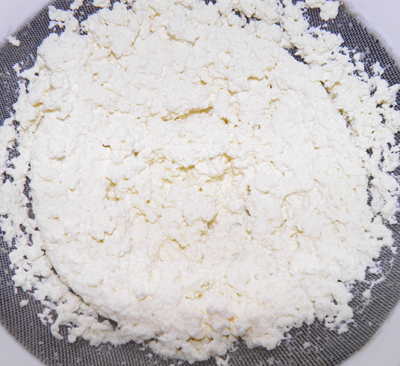 However, I would recommend using powdered sugar as a sweetener for ricotta cheese. Thanks. I am thrilled to find my readers’ excitement . 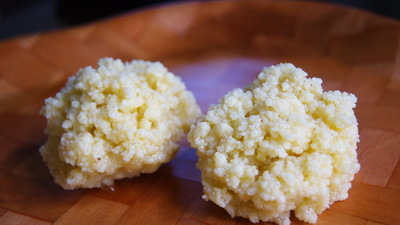 Yeah you can use ricotta cheese substitute of chhana when you are making sondesh. But dont use when you are making rosogolla. You need unsalted ricotta cheese. Can you please tell me the amount of ricotta cheese i need to use instead of chhana made out of one litre milk? ?